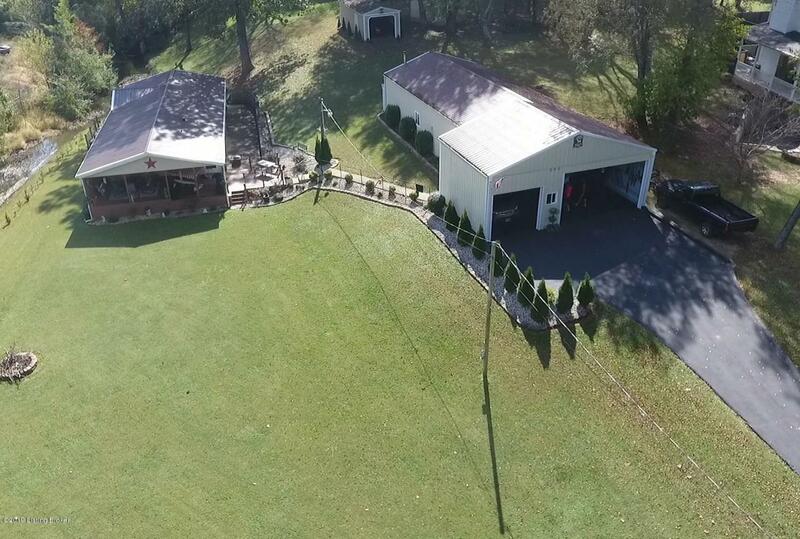 Pride of ownership shows in this large home on a little more than an acre. 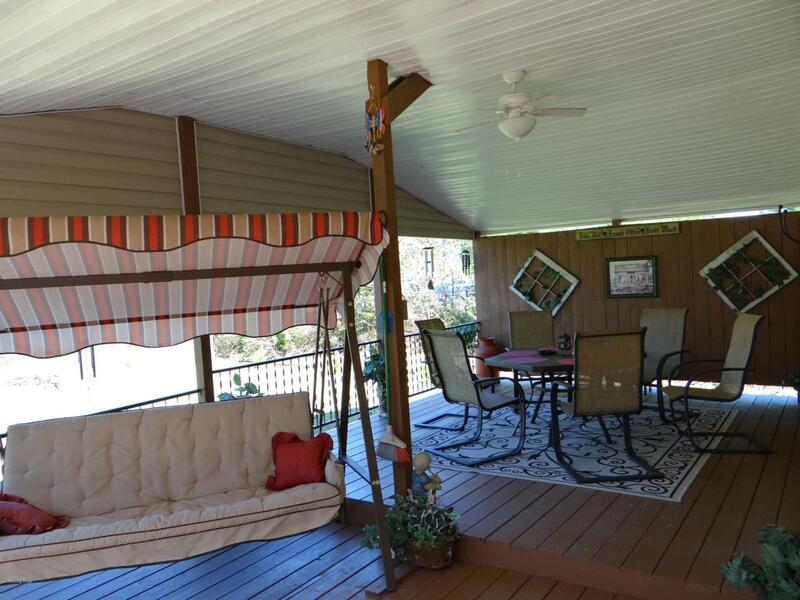 You enter the home from a large covered deck with a ceiling fan and lighting. Entering the home, you will go through the laundry/mud room to the spacious eat in kitchen with all kitchen appliances remaining. From there step into the massive living room. There is also an outside entrance in the living room. The master bedroom is directly off of the living room with a huge walk in closet and master bath with double vanities, garden tub and shower. The other 2 bedrooms are nice size and will accommodate full size beds easily. 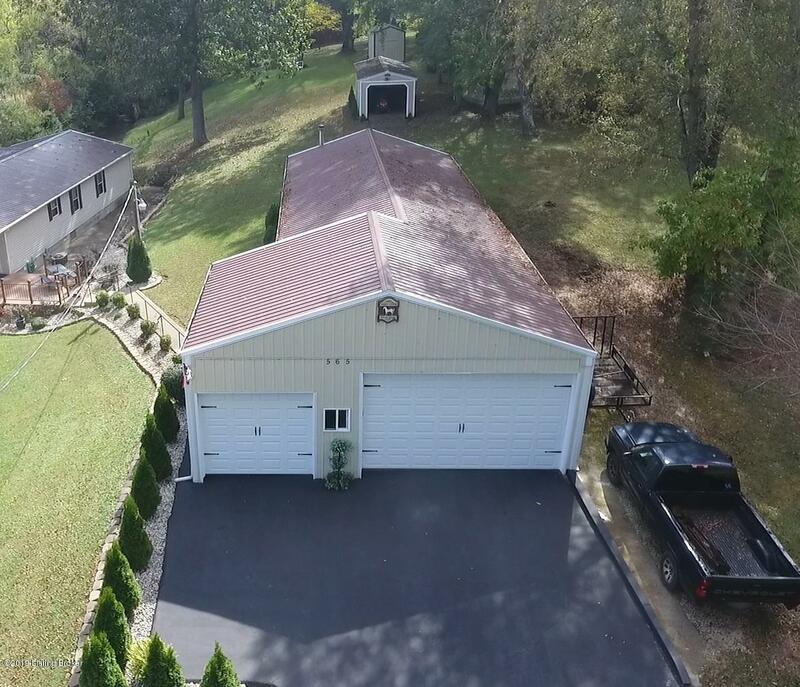 Moving to the outside, as you drive into the drive, you notice the garages. The first garage you enter will be 30' x 30', going through it leads to the next garage which is 20' x 40' as measuredby the owner. 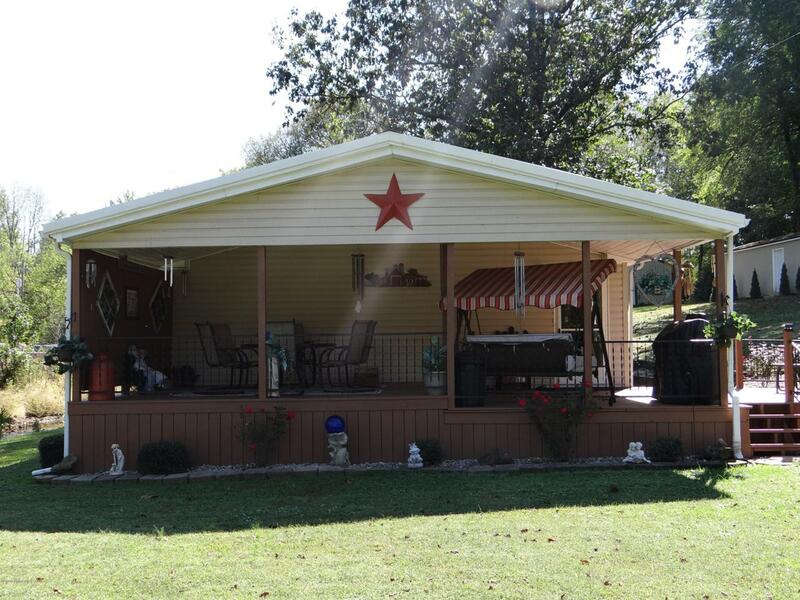 This garage is highly insulated, has air condition and a wood stove, as well as a water heater. There are 2 additional out buildings one is 12' x 30' and the other 10' x 12'. This property is in the flood plan, the owners have lived on this property since 2008 and say the water has never gotten close to the house, however flood insurance is required. Fireplace in the living room will not remain and washer and dryer will not remain.